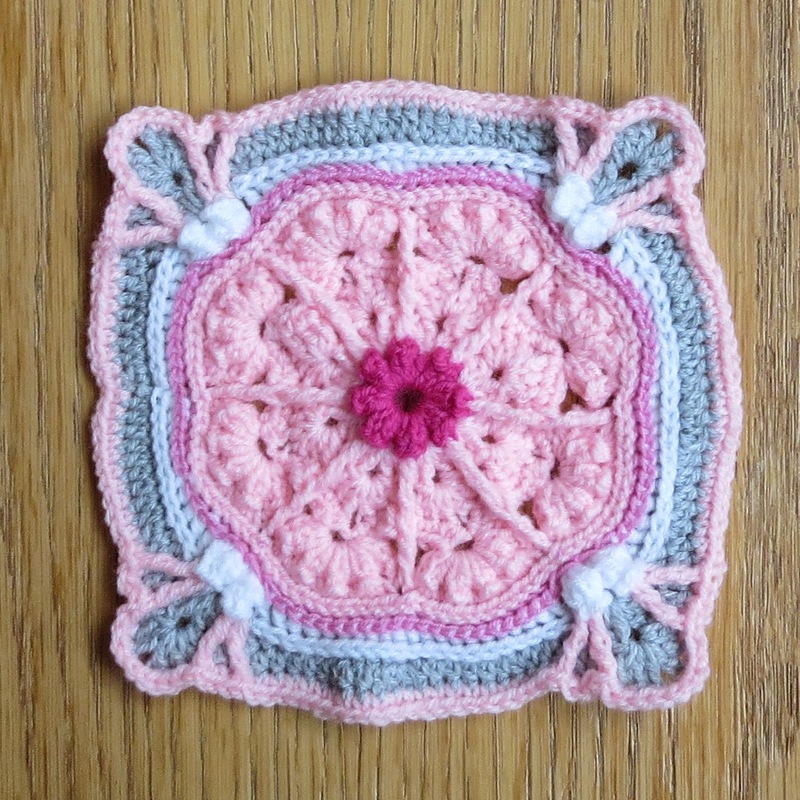 There is a CAL going on with overlay crochet, Sophies Garden, a gorgeous pattern, it can be found on www.lookwhatimade.net. It inspired me to go search for overlay crochet, a technique i haven't been exploring. After 'Pinteresting" i found a pattern on YouTube, in Portuguese, but a very clear movie on how-to. You can find it under the name Flor Harmonia. 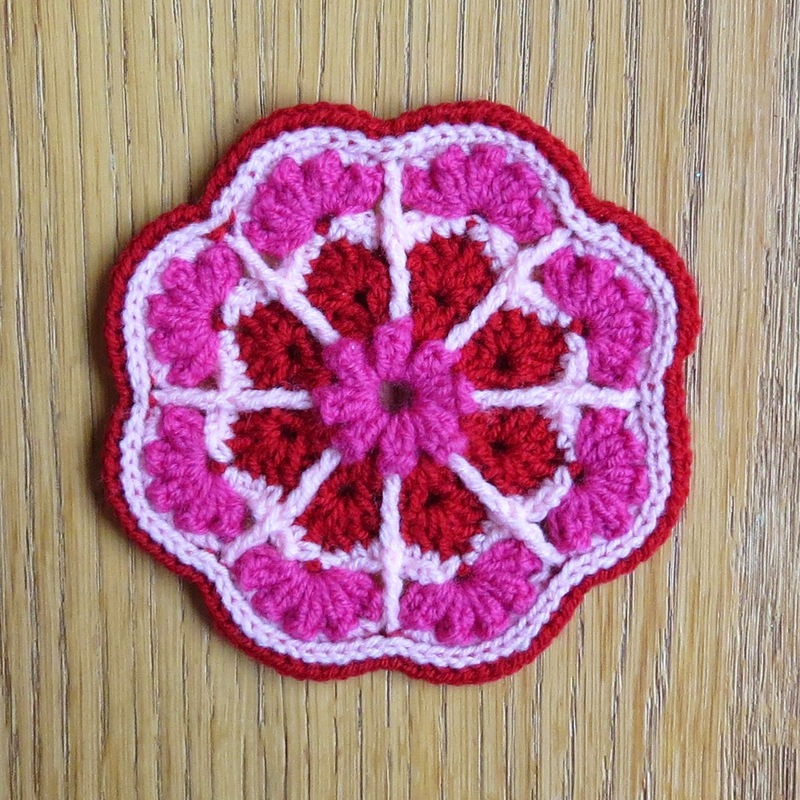 After making the original pattern to get an understanding of overlay crochet, i changed the pattern and added some rounds. Trying out different color variations. It seems, i cannot crochet something, without turning it into something 'usable", this turned into a baby blanket. I showed this to a niece, who is pregnant with a baby girl, and offered her a blanket like this. 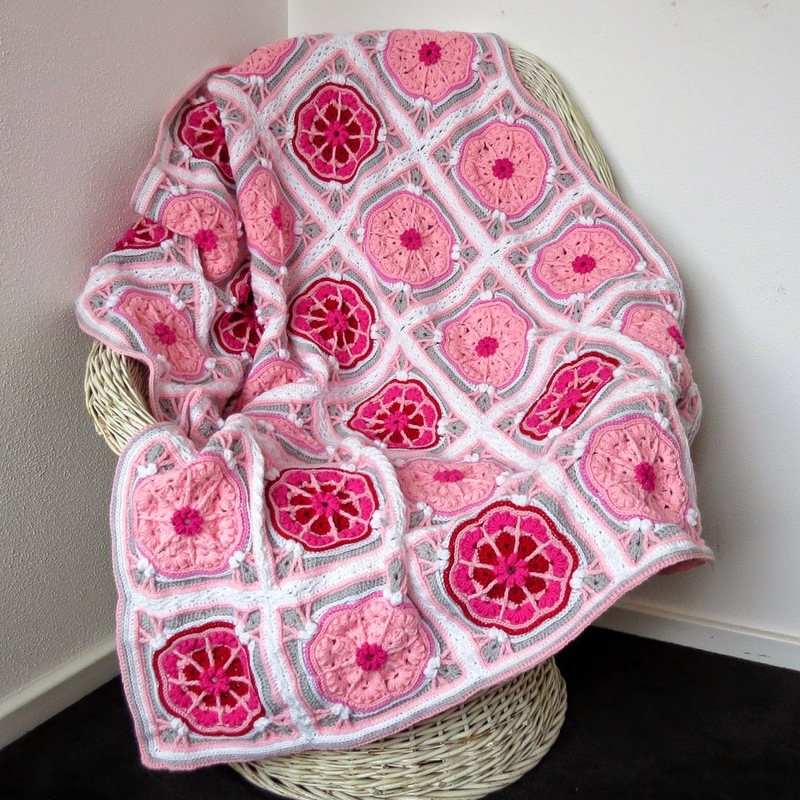 She opted for a blanket in just baby pink, grey and white. I love the blanket, it's sweet and posh:) She hasn't seen it yet, i am hoping they will like it. This blanket is very beautiful! I love your combination of ruby, bright and pale pink. And I am very much in love with overlay crochet. I've discovered this technique a year ago and just cannot stop making new things. It reminds me drawing with yarn. A great way to express creative ideas! Thank you so much for the compliment! Indeed, overlay crochet has endless possibilities!